As we sat down and started talking about the status of the domain industry, he said something that really struck me: “Giuseppe, lately I really do not have the patience to reply to people that make lowball offers on my domains. I feel like I constantly have to educate them about why a domain is so valuable, and that adds up to a lot of time”. I looked puzzled and asked him why does he not avoid replying to those emails, as that is a common strategy used by domain owners to filter the serious inquiries. If you own 10k+ domains, you have probably been there as well. You receive price inquiries daily on assets from your portfolio, and you simply do not have the time to price them or give a proper response to all the “student’s projects” or domain brokers. Not only that, but giving a firm price also locks you in at a number lower than the buyer’s budget. That is why, on the sell side, negotiating successfully the sale of your domains comes down to the approach that described in the book Start with No by Jim Camp. Recommended to me by the great Michael Feeley, it explains how people that seek win-win agreements are regularly taken advantage of by more experienced negotiators that are unwilling to compromise, prepared to be perfectly passive to any requests and stay firm on their bottom line. I have found this approach very common in large domain portfolio owners. When you have the privilege of working for so long with people that have been incredibly successful in this industry, you start to notice specific patterns. One of them is that they never give a price first, and if you ask them if a domain is for sale, they will often reply with – it is not for sale, but (if you really really want it) feel free to make an offer. Why? Because that saves you time by qualifying the buyers, and allows you to never leave money on the negotiation table. Certainly, you might miss out on a number of smaller deals, but, on the other hand, you will have one or two deals that really matter – those high 6, low 7 digits that make the DnJournal headlines. Not everybody though can do that. Why? The first reason is simply cash flow. Not anyone has a bank account large enough to withstand months without sales while paying renewals fees. The second reason, is simply, well, guts. How long you can resist giving in on a 6 digits offer is likely what will get you the 7 digits deals. No risk, no reward. That one deal that comes through can change your life – if that comes. Many times it did, especially in the late nineties/early 2000 and that is how the most famous domain investors we know to date came to be. Again, short, passive answers incredibly help your cause. There is not only money and time that you spend in a negotiation, but there is also emotional expenditure. If you spend one hour writing a long email explaining why your domain is worth 7 digits, it is just human nature to feel more committed to the negotiation, and the other party will notice that. As a result, your negotiating position will be weaker, and that will negatively affect your bottom line. 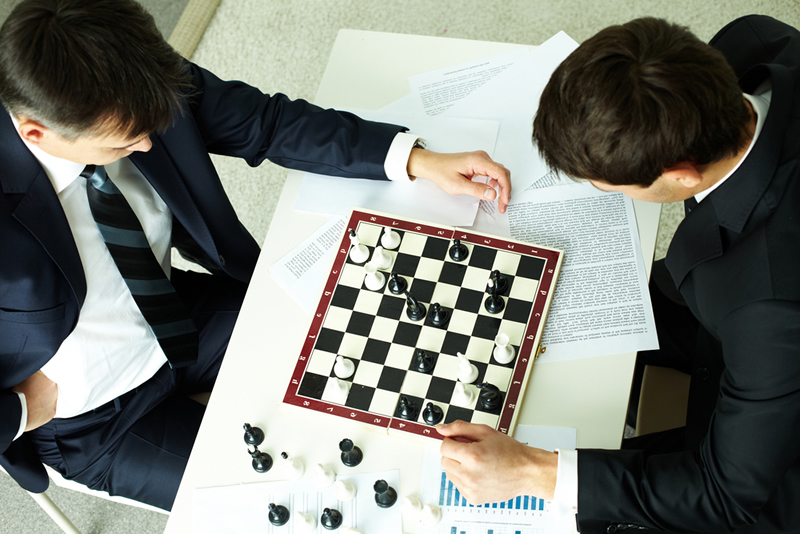 The drawback of the Start with No approach is that it is extremely effective, so effective that you are likely to have always the upper hand in the negotiation, and, when the deal is done, buyer’s remorse settles in and that sometimes comes at the cost of the relationship and the opportunity for future deals. A Chinese proverb says that at the end of a good negotiation the two parties should leave smiling, as they feel both better off with the deal. As brokers, the goal of every negotiation is to start a relationship, not to end one. That is why the approach I prefer is called principled negotiation and it has been described in the Harvard book “Getting to Yes“; a negotiation classic that was recommended to me by our awesome Mr Joe Uddeme. One of the major takeaway of the book is to always insist on using objective criteria to evaluate what is the fair price on a deal. Other relevant points about the book are to separate the people from the problem, find creative solutions (eg financed deal) and making it easy for the other party to say yes. But let’s take a concrete example. Let’s say you are the buyer in this case and you are looking to purchase a premium domain. It is a common belief, both in real estate and domain that you make money on the buy, rather than the sell side. So how do you do that? Should you ask for a number first or should you come in right off the bat with a lowball offer? When is it best instead to go directly with a reasonable offer? Well, the answer depends on many factors. The first thing we do when analyzing a domain is to answer a few questions: is the domain brandable or is it a premium generic? Does comparable domains have liquid market value? Has the domain been on the market before and is it likely that the owner is aware of the fair market value? In negotiation, or marketing for that matter, there is an interesting concept called anchoring, which explains how the final price of a negotiation it typically stays tied to the first number thrown in the negotiation. Anchoring with a lowballoffer works only if you are looking to buy a sub premium or brandable domain that has not many comparables, just like shortblast.com or stormstreet.com (these are just names I made up). In that case, starting with a $500 initial offer rather than asking for pricing, might be an appropriate strategy. Only last week, Tracy Fogarty, shared with us the story of how she saved thousands of dollars to her buyer simply by staying firm and presenting comparable sales to a corporate seller after a buy request. On the other hand, if you are looking to buy phone.com, coming in with a $5,000 offer will automatically disqualify you. The domain is clearly worth a lot more, and you just look terrible in front of the seller. The relationship is now compromised and that will end up costing you a lot more in the negotiation if that is the domain you really want and you are trying to reestablish communication. The appropriate strategy in the phone.com case would be to ask the owner for an initial pricing and move the negotiation from there, hoping to find a motivated seller. However, this is likely to work with owners that own less than 100 domains, because, as we said, large domain investors are unlikely to respond with a price to just anybody who asks. How do you get all these information about the domain owners about how many domains they own? Well, this is where domain brokers add value on the buy side. By having the industry experience to understand how much names are worth at wholesale value, we are almost always able to get better deals for the domain you are looking for, usually at no additional costs. If you are an experienced domain investor with years of industry experience, by all means, I do not recommend working with us if you are only looking to buy one specific name – you can probably do the same job yourself. But on the other hand, if you are just starting out in this industry and are looking to buy the perfect brand for your business, we save you time, we negotiate a better deal, we protect your identity and we can tell you usually within minutes what are the pricing ranges of practically all the major domain resellers in the world. View more of Giuseppe’s domain stories by signing up for his exclusive newsletter ! 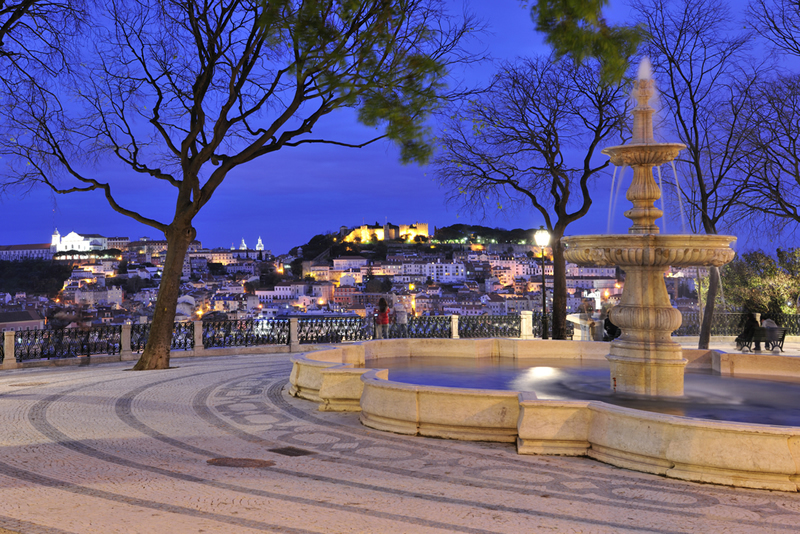 Have a fantastic week – from Lisbon! Ready for the World Cup? As I am writing you this, the World Cup of soccer has just begun in Brazil and right downstairs, they just installed a giant screen for the soccer fans. The match currently on air is Portugal VS Germany and Portugal is losing … badly. Going back to domains, last week I wrote an article about the status of the numeric market and I obtained some interesting articles in response that I thought I’d share with my readers. One is from Shane Cultra and another great one is from John Poole. They support a completely different theory regarding the future value of numeric .coms, stating that we are just about to enter a bull market. Regardless of whoever is right, this week I wanted to try a different approach and send you a quick analysis of the best deals available at this moment, as we secured some new inventory under exclusive. This could be a great starting point if you are just starting to invest in domains. – Why I like this name? Because it is short, pronounceable, intuitive and extremely brandable and it comes in with a package of other extensions like .net, .org, .biz, .de and .eu. Whenever somebody is looking to start a business, you should always look to secure the complementary assets to protect the traffic directed to your brand. – How much are similar names priced at? Usually comparable assets of this quality, range from a minimum of $5k to over $50k. – What are the possible usage/benefits of owning this name? Ideal for a B2C business, possibly in the gaming or mobile space. – Why I like these names? I do not personally like the names per se, but I do like the asking price – $48k for the package. At this asking price you can rarely go wrong since the floor price for LLL.com is close to $8k, making it one of the most reasonable price available for LLL.com on the market. LLL.com can be very rarely found under $10k, and retail price often goes in the $15k to $30k range. Build a business that requires some “gravitas”. A three letter .com always gives a certain authority to your business. Think DHL.com or ABJ.com (abj.com is fictitious). Customers will think that your business has been around for a while whicj will in turn result in added credibility, and therefore more sales. The other common usage for these domains would be obviously to park them and flip them for a higher price by selling them individually to end users or domain investors looking to pay above market price. LN.com usually command the same degree of authority of LL.com, but they are much cheaper while retaining the same memorability. Floor price for these type of assets is around the $35k mark (unless it contains a “0” or “o”). Branding a business that has a strong B2C and B2B component internationally. Think about the multinational j2.com and/or how good a mark@p9.com email address sounds. It is a two letter .com with letters that are considered premium in China. We already received offers in the hundred of thousands USD for this domain and it would be likely on sale not for long. On the wholesale market, LL.com have a floor price closer to 280k, depending on the quality of the letters. On the retail market, these assets have commanded record prices throughout 2013 & 2014, like IG.com $4.7M or MI.com $3.6M. Branding a business that requires a massive amount of authority; flip the domain to an end user; invest in an asset that might appreciate in value. In addition to these domains, we also have some new and updated inventory. If you are interested in purchasing any of these names, or simply submitting an offer, just reply to this email and I will get in touch with you. Giuseppe Graziano https://www.domainholdings.com/wp-content/uploads/dh-logo-medium-31.png Giuseppe Graziano2014-06-18 12:13:222014-06-18 12:13:22Ready for the World Cup? As we sat on the beach bar, looking the sun going down in the Atlantic, we discussed – among other things – what is the current status of the domain industry. Numerics have been increasing in price like there is no tomorrow. Floor prices have practically quadrupled during the past 6 months. While you could purchase a NNN.com (containing a 4) for about $16k last December, it is now rare to find any below $60k. NN.com, that could be purchased in the low to mid six digits, have now a floor price closer to $700k. It is exactly like a real estate market where the major sellers purchased all distressed properties to artificially increase the asking price of the properties. On the other hand LL.com have had a much slower but steadier increase over the past 2 years at rates of 5-10% per quarter, with evaluation ranges depending on the quality of the letters and floor prices now closer to $230k. LLL.com have also slowly increased and reached the $8k floor price, moving from a $4.5k floor price last December. NNNN.com are now impossible to find under $6k and LN.com have floors closer to $35k (if not containing an “o” or “0”). Assets that used to be practically worthless, like NNNNN.com, suddenly started to have face value. The question is now – are we in a bubble? A. The “traceability” of liquid assets. While it is difficult to identify the top 100 one word generic domains, numeric and short letter domains are very easy to trace for anyone that knows how to use an excel spreadsheet and a mass whois extractor. A higher number of people are trying everyday to track the prices of these assets by emailing the contacts listed in the whois records. In turn, this caused sellers to be literally inundated by price inquiries. Now, think about this: if you own a property that used to get one or two inquiries every other month and is now getting 20, it is human nature to think that your property is VERY valuable – or, at the very least, much more valuable than it used to. B. The increased numbers of brokers. While the market prices were growing so quickly, a lot more brokers saw an opportunity to get inside the market and finding buying opportunities on behalf of investors. Some of them, in order to include their commission, re-listed the domains at higher prices. As a consequence, buyers saw a dramatic, day-by-day increase on the asking price of such assets, creating pressure to secure the domains as early as possible and putting them in weaker negotiating position. C. Inconsistent demand from end users. While it is true that numbers have a universal appeal, how many end users you know are willing to spend more than half a million to brand their business with an anonymous number? It is intuitive that British Airways should use BA.com and Western Union WU.com, but how many businesses do you think are looking to pursue a 64.com priced close to $1m USD? It seems to me that the fundamentals are just not in place to sustain such a growth, and the increase in price is purely caused by market speculations. Usually anyone who owned numerics or short domains, registered or bought them in bulk. As some of these investors started to sell part of their portfolio, they no longer have the need for liquidity, therefore reducing the inventory available at market price. The next question I get is – When is the bubble going to burst? This is a harder question to answer. I believe that the market for liquid domains will crash as soon as another economic indicator like the housing market in China and/or the stock market will crash. Typically May is a selling month in the stock market, and Wall Street just reached new heights. I found a very interesting article regarding the expected correction to take place on Wall Street last month. Since the domain market follows the economy, I would not be surprised to see the market crash at the very first signs of panic in the Chinese housing market. We are not there just yet, however we might get there as soon as the end of the year. For what concerns the stock market, it could be in August, when a few people would be looking to cash out their profits. But, not to be pessimistic, the rising trend might last a little longer – maybe after experiencing a short term correction. Therefore the third question is – Is this the right time to sell? 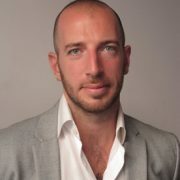 Giuseppe Graziano https://www.domainholdings.com/wp-content/uploads/dh-logo-medium-31.png Giuseppe Graziano2014-06-10 15:16:372014-06-10 15:16:37Are We In a Bubble? Valencia, Spain. 2 in the morning at the Domaining Europe conference. Discussing about domain values over a few drinks, one of the attendees mentions he owns a 3 letter domain he just bought on auction that he wants to sell for $3,500. I remember saying to myself: wow a three letter .com domain for $3,500 – what a great price. I immediately pulled out my phone and quickly sent an email with the sell request to my team. Unsurprisingly, the domain got sold shortly after. Unfortunately, those days are long gone. It is becoming increasingly difficult to find a LLL.com under $5,000. Considering that the last Domaining Spain was only 8 months ago, something changed in the aftermarket that caused a 30-40% variation on the floor price of these assets. But besides for the fluctuation in price, what amazes me is the amount of buy requests we have been receiving for these assets. When European, Chinese and American clients are asking for LLL.com on daily basis, you know something is up. But why are LLL.com so valuable and, above all, how can you profit from this? There are only 17,576 (26*26*26) of these domains on the market. If PriceWaterCooper owns PWC.com and Apple owns MAC.com, there are thousands other companies that have a budget big enough to purchase the acronym of their brand/product. And it is just a matter of time – sooner or later they will. As I mentioned in my other article about numeric domains – the ability to quickly cash in on an asset considerably increase its value. There are only a few domains that have this attribute, namely numerics, LL.com, LLL.com and CVCV.com. Differently from numeric domains, LLL.com, since they can be used as acronyms, can be easily allocated to specific end users. If you were the owner of MCD.com, can you name a company that might be interested in buying your name? There you go. Last weekend I visited one of my mentors, a real estate developer, at his beach house in central Portugal. While the worst storm of the year was hitting the coast (with incredibly big waves), we stayed in and had a chat about the status of the real estate in Portugal and how these lessons could apply to the domain market. A very true saying is that perception equals reality. What generates a crisis is often a large number of people who share a negative perception of the market. Think about it – Portugal (and the US) still hold the same amount of debt per person since last year. What has changed? One of the reasons the real estate and the domain market have bottomed out during last summer is because people simply got bored of thinking that we are under a crisis and decided to allocate their money back on the market, which is now trending up again. We all know that the market is not driven by logic and but by emotions, especially greed and fear. I recently read a thread started 6 years ago saying that the minimum wholesale value of LLL.com was quickly heading toward $10k. 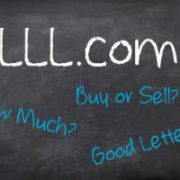 Compare it now to the $5k floor price: some people say that LLL.com are becoming too expensive, but are they really? As we can see from the graph starting in 2005, the LLL.com quickly rose in the first years just to reach a peak in 2008, right before crashing to 2007 level. Since then, it has been steadily growing until hitting the $5,250 mark in November last year. So, is this a good moment to buy LLL.com? Given the market activity and the previous market fluctuations, I would definitely say yes. It seems we are in an accelerating phase of the market and prices are likely to continue increasing – at least for the coming 6 months. At the same time, more people are getting aware of market valuations. Blogs, marketplaces and brokerage houses are making the market more and more efficient, therefore with less opportunities to close great deals. Remember – in any market where there is perfect information there is no possibility for profit. Nevertheless, the domain aftermarket is still far from that and I have personally seen a few clients doing very well in the space and making substantial profits. But let’s say you own a few LLL.com and are unsure about pricing, what is the best way to appraise their actual value? Premium letters: A, B, C, D, E, F, G, H, I, L, M, N, O, P, R, S, T.
2nd tier letters: J, K, U, V, W.
Low quality letters: Q, X, Y, Z. The retail value of a LLL.com composed only by premium letters is closer to $25k/$30k. Any combination of premium + low quality letter is valued somewhere between these two extremes. From my experience, any 2nd tier letter increases the value of the domain of 1-2k. And any premium letter increases the value of the domain by 3-6k. Letter structure – Specific letter structures might increase the value of the domain. For example any palindrome (symmetrical letters – e.g. PTP or LKL) usually has a higher value. Couple of letters repeated like FFQ, PPO, etc, also usually hold a higher valuation. Word meaning – a combination of 3 letters often. One of the example is fix.com that recently sold for $850,000. Whenever the combination of three letters has a specific meaning in the natural language, that increases the price considerably. Potential buyers – you heard what the old domainer’s saying – the value of a domain is how much somebody is willing to pay for it. While this can be an easy way out to appraise a domain, it also beholds some truth: the value of a LLL.com corresponds to the budget for domain acquisitions of the richest company/person with a legitimate interest in purchasing your domain. What about selling to End Users? Yes, but how can you know what are these companies and how much is their budget? Well, it is not easy, but you can get there. This is what we do on a daily basis at Domain Holdings and we have an awesome team only dedicated to that! You can always contact me at giuseppe@domainholdings.com if you are looking to invest in a LLL.com – we have over 200 for sale at the moment with some great investment opportunities. Next week I am going to attend DomainPulse in Salzburg and later on in May I will be participating in a panel about domain evaluations at Domaining Spain in Valencia – Dietmar and Jodi always do an amazing job of making everyone have a good time and I encourage you to sign up for the event. I would love to see you there and meet you personally! My fascination with numbers in Chinese culture started in front of a newspaper stand in Shanghai. I was about to purchase my first Chinese sim card associated to a phone number and the clerk presented me with a number of options. Oddly enough, I noticed that the numbers had different prices, with the numbers containing more 8s being priced higher. I asked the reason why – my Chinese friend promptly explained to that the number containing more 8 were more expensive because considered lucky. Coming from Italy, which is a very superstitious country where we usually think about luck: “It’s not true – but I believe in it”, I resorted to paying the equivalent of $7 to get a phone number containing 3 consecutive 8s. Coming back to the domaining industry, Elliot Silver recently quoted in a recent blog post that the value of numeric domains seem to have peaked in the past few months. Almost every broker or aftermarket newsletter is now featuring premium numeric domains for sale at increasingly higher prices. Numeric domains are sought after mostly by Chinese buyers – we can safely say that 80% of the players in this market come from China. The reason for this is because Chinese businesses have historically used numbers or pinyin versions of Chinese characters to brand their websites. English keyword domains are difficult to remember for native Chinese speakers, therefore most of the popular websites in China use numbers (eg 163.com) or pinyin (Baidu.com, Youku.com etc.). Add to this the limited supply of only 100 NN.com and 1000 NNN.com, then you can quickly understand the rising value. The domain name 1001.com sold for $100,000. Frank Schilling’s Name Administration sold 88888.com for $245,000. 114.com sold in early 2013 for 2.1 million dollars, getting in the top 5 disclosed transactions in 2013. 55.com to this date is the numeric domain sold at a highest price – $2.3 million in 2011. 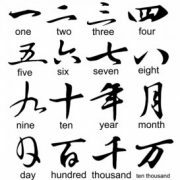 A couple years ago I had a conversation with one of my Chinese clients – when asked about his criteria to price numeric domains he said: “you should spend many more years in China to understand the meaning of Chinese numbers”. 0. 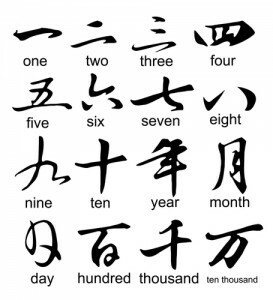 The Number 0 (零 or 檸, Pinyin:líng or níng) is a whole number and it is also an even number for the money ends with 0. 2. The number 2 (二 or 两, Pinyin:èr or liăng) is most often considered a good number in Chinese culture. There is a Chinese saying: “good things come in pairs”. It is common to repeat characters in product brand names, such as double happiness, which even has its own character 囍, a combination of two 喜. 3. The number 3 (三, Pinyin: sān) sounds similar to the character for “birth” (生, Pinyin: shēng), and is considered a lucky number. 6. The number 6 represents wealth in Cantonese, this number is a homophone for (祿 Lok). 6 (六, Pinyin: liù) in Mandarin is pronounced the same as “liu” (溜, Pinyin: liù) and similar to “flow” (流, Pinyin: liú) and is therefore considered good for business. 7. The number 7 (七, Pinyin: qī) symbolizes “togetherness”. It is a lucky number for relationships. It is also recognized as the luckiest number in the West, and is one of the rare numbers that is great in both Chinese and many Western cultures. It is a lucky number in Chinese culture, because it sounds alike to the Chinese word 起 (Pinyin: qǐ) meaning arise, and also 气 (Pinyin: qì) meaning life essence. Most airlines, including United Airlines, KLM, Air Canada, Cathay Pacific and Singapore airlines reserve their flight numbers starting with 8 for flights to Asian destinations, especially China and Korea. A telephone number with all digits being eights was sold for USD $270,723 in Chengdu, China. The Petronas Twin Towers in Malaysia each have 88 Floors. Even the online poker and casino operator 888 Holdings (owner of 888.com) chose its brand carefully to attract Asian gamblers. 9. The number 9 (九, Pinyin: jiŭ, jyutping: gau2), was historically associated with the Emperor of China, and the number was frequently used in matters relating to the Emperor. It also symbolizes harmony. 4. The number 4 has such a negative implication that Asians in general, and in particular Chinese, go as far to have a pathological fear called Tetraphobia. The reason is because the number 4 has the same sound of the word “death” (死 pinyin sǐ). Due to that, many numbered product lines skip the “4”. In East Asia, some buildings do not have a 4th floor. (Compare with the Western practice of some buildings not having a 13th floor because 13 is considered unlucky.). In Hong Kong, some high-rise residential buildings omit all floor numbers with “4”, e.g., 4, 14, 24, 34 and all 40–49 floors, in addition to not having a 13th floor. 5. Five (五, pinyin: wǔ, jyutping: ng5) is associated with “not” (Mandarin 無, pinyin wú, and Cantonese 唔). If used for the negative connotation it can become good by using it with a negative. Also, any number of repeated 5s: “五” (wǔ) sounds like an onomatopoeia for crying, and is sometimes used in internet slang to express unhappiness. WHAT DOES THIS MEAN FOR NUMERIC DOMAINS? Now you might be thinking – ok, this is interesting, but what are the real life application when buying or selling a numeric domain? The less digits, the higher value. This is an obvious rule – there are only hundred NN.com versus a thousand NNN.com and so on. Therefore 75.com is more valuable than 750.com. Numeric domains ending in zero have usually a higher value. The more zero’s at the end, the higher the value (i.e. 800.com is more valuable than 810.com etc). Conversely, numeric domains beginning with a zero have usually a lower value. A domain like 065.com would usually bear less value than 650.com. Lower numbers are usually more valuable than high numbers. The reason for this is the Benford’s Law (link) which explains how low numbers are more frequent than higher numbers in a variety of data sets like street addresses, stock prices, population numbers, etc. Therefore each domain starting with 1 is usually more valuable than a domain starting with 2; each domain starting with 2 will have a higher value than a domain starting with 3 and so on. Numbers that appear in a sequence are usually more valuable than numbers with no specific order. For example 123.com is more valuable than 132.com or 231.com. Any numeric domain containing a 8 has a higher value. The more 8s in the domain, the higher the value: 888.com > 788.com > 718.com > 712.com. Domains containing a 4 have a lower value. Any 4 decreases the value of the domain up to 50-70% less than a similar domain without a 4 (eg. 672.com vs 674.com). Sign up for Giuseppe’s Newsletter for Premium Domains today to stay in touch!